Did someone you love suffer elder abuse or neglect at Care One at Lexington? Our lawyers can help. 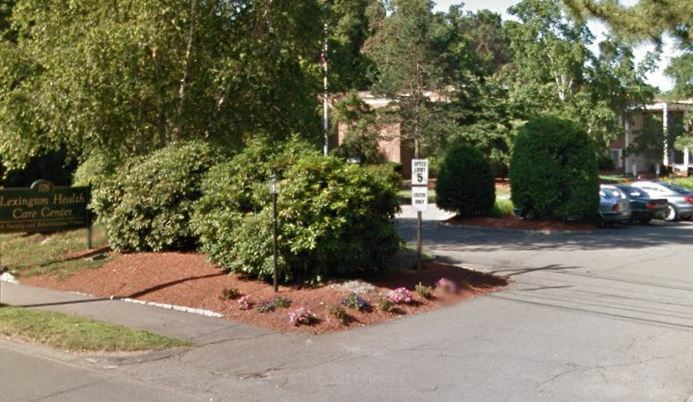 Care One at Lexington is a for profit, 221-bed Medicare/Medicaid certified skilled nursing facility that provides services to the residents of Lexington, Burlington, Woburn, Bedford, Winchester, Arlington, Belmont, Waltham, Watertown, Stoneham, and the other towns in and surrounding Middlesex County, Massachusetts. Care one at Lexington focuses on 24 hour care, respite care, hospice care and rehabilitation services. As of March 2018, Care One at Lexington in Massachusetts received a rating of 4 out of 5 stars. Based on observation, resident and staff interviews and record review, the facility failed to develop or revise a care plan to address a resident refusing to follow the medical plan of care for 1 Resident (#1) out of a sample of 24 residents. For Resident #1, the facility failed to develop or revise a care plan to address the resident’s refusing to follow the medical plan of care for Multi Podus Boots. Resident #1 was admitted to the facility in 7/2015 with [DIAGNOSES REDACTED]. Review of an annual Minimum Data Set assessment dated [DATE] and a quarterly MDS of 2/14/17, indicated the Resident had minor to moderate cognitive deficits (Brief Interview for Mental Staus (BIMS) Score = 10/11 out of 15) and was dependent in all aspects of his/her activities of daily living (ADL). On 4/25/17 review of the 4/17 Physician Orders for Resident #1, indicated an order to apply Multi Podus Boots to the right and left legs when out of bed. Multi Podus Boots are foot ankle orthotics made of plastic and lined with soft material to protect the skin from break down. It is used to hold the ankle in a neutral position (90 degree ankle alignment). Review of the resident’s Care Plan for ADL Self Care identified: to use assistive/adaptive equipment wheelchair but did not refer to the use of Multi Podus Boots nor that the resident did not want to wear the boots. The Care Plan for Skin Breakdown identified: to suspend/float heels as able and use assistive devices as needed. Multi Podus Boot were not addressed in the plans. Review of the Nursing Notes for the month 4/17 identified only one entry referencing booties on 4/2/17 that read: heels boggy skin prep applied and booties in place. Surveyor #1 observed Resident #1 out of bed in a wheel chair with foot rests on 4/25/17, 4/26/17 and 4/27/17. Resident #1 was up only for short periods of times after morning care until lunch time so as to minimize any additional pressure to his/her coccyx area. At these times, the resident was wearing socks on his/her feet and no physician ordered Multi Podus Boots. During interview on 4/27/17 at 11:00 A.M., the Nurse Manager (Nurse #8) said that the resident would kick off the boots and did not want to wear them. Review of the resident’s ADL Self Care Plan and Skin Breakdown Care Plan did not identify any alternatives to the Multi Podus Boots or revisions to the Care Plans interventions to address ankle foot alignment and heel skin protection while in the wheelchair. Based on observations, record review, review of the facility’s matrix roster, review of clinical tour notes and resident and staff interview, the facility failed to ensure that residents received adequate supervision and assistance on 2 (Minuteman and Hancock) of 4 nursing units during the 11:00 P.M-7:00 A.M. shift. 1. On 4/26/17, a group meeting was held with 7 alert and oriented residents. Non-sampled Resident #3 (NS #3) said that he/she has found nurses and certified nursing assistant (CNAs) asleep at the nurses station during the 11:00 P.M-7:00 A.M. shift. on several occasions. NS #3 said he/she recently observed the nurse asleep by the medication closet and a CNA asleep in a chair right behind her. NS #3 said that he/she observed them sleeping after using his/her call light for help and no one responded. Non-sampled resident #4 (NS #4) said that he/she agreed with what NS #3 said. NS #4 said that he/she saw a CNA asleep in a chair during the 11:00 P.M.-7:00 A.M. shift. 2. On 4/27/17 at 12:15 P.M., an interview was held with NS #3. He/she said that he/she had seen nursing staff sleeping in chairs in the middle of the night in the past and that he/she had reported it to nursing staff at that time. NS #3 then said that he/she was not feeling well recently and threw up in the middle of the night. He/she used his/her call light to ask nursing staff for a face cloth so he/she could clean himself/herself. NS #3 waited for over an hour and after no one answered the call light, NS #3 resorted to using rough paper towels to clean himself/herself. NS #3 also said he/she recently had to use the bathroom in the middle of the night. NS #3 used the call light seeking assistance. NS #3 said he/she waited for a long time but no one came and eventually he/she had an accident over by the bathroom. NS #3 said that after these 2 occurrences he/she decided to stay up at night to observe the nursing staff. NS #3 then said that for the next several weeks, he/she observed nursing staff asleep in chairs on the unit during the 11:00 P.M.-7:00 A.M. shift. He/she said it bothered him/her very much that nursing staff were doing this. 3. On 4/27/17 at 1:40 P.M., an interview was held with NS #4 who said that he/she observed nursing staff sleeping in chairs outside his/her bedroom on various occasions. NS #4 reported his/her observations to nursing staff a few months ago and the situation was addressed. He then said that he/she found nursing staff asleep between 12:30 A.M. and 1:00 A.M. just this morning. He/she said that he used his call light for assistance and when no one responded for over a 1/2 hour, he/she leaned over in his/her bed and saw a CNA asleep with his/her feet draped over a chair outside his/her bedroom door. He added, that’s not right. 4. The Employee Handbook Section IV: Employee Responsibilities states that unsatisfactory job performance or conduct and sleeping while on duty are examples that may result in disciplinary action, up to and including termination of employment. The facility policy for meal breaks states that meal breaks may not be scheduled with other breaks, unless necessitated by the operational needs of the department. Meal breaks may not be taken at the beginning or the end of a shift, allowing an employee to report to or leave work earlier than the scheduled hours for the position. Employees are expected to take meal breaks in a timely fashion and in authorized areas only. 5. The facility has 4 units over 3 floors. Floor one has 2 units, Revere (R) and Hancock (H) that provide services primarily to short term rehab residents with some long term care residents. The bottom floor unit Monroe (M) serves residents with dementia (but is not a licensed dementia unit). The second floor has one unit, Minuteman (MM) which provides services to long term care residents. (55 out of 57 residents on this unit require some assistance with care). Units are structured with a nurses station in the middle of the unit. Resident rooms are located along corridors running right and left of the nurses station. The medication room is located in the nurses station area and each unit has a large room for residents use for dining and activities. On 4/27/17 the Floor Staffing for the 11:00 P.M. to 7:00 A.M. shift was: Night Supervisor -The facility has not been able to fill the position and therefore there was no supervisor. At 4:15 A.M., the corridor on the Minute Man unit was dimly lit with night lighting. The small dining room on the the Minute Man unit was pitch dark. A noise was heard by Surveyor #3 coming from the small dining room and Surveyor #3 approached the room. There was a linen cart blocking the doorway to the small dining room, blocking the view of the hallway from the small dining room. In the small dining room was CNA (Certified Nursing Assistant) #1, who was getting up from a couch that had white linens covering it. She came toward the doorway and linen cart. When asked what the CNA was doing in this pitch dark room, she said that she was just about to go do her job. Immediately following, Nurse #1 was observed in the small dining room, in two chairs facing one another with her feet up on the chairs, her back was to the doorway, leaving her with no visibility to the corridor, resident rooms or call lights. Nurse #1 had white linens draped over her body and under her body. When Surveyor #3 inquired what she was doing in the dark room, Nurse #1 did not answer. Surveyor #3 then turned the room’s main lights on. Further observations of the room, with the lights now on, revealed Nurse #2 around the corner of the room rising from two chairs facing one another. Her body was positioned so that she was facing a wall and could not see the doorway or the corridor without getting up and walking toward it. At this time, Nurse #2 did not say what she was doing in the room, she remained silent, turned to her left and walked toward the door. During an interview with CNA #1, she said that at 3:30 A.M. she woke up to take someone to the bathroom. Surveyor #3 then asked how many residents were on the unit and CNA #1 said 57. When asked how many residents do not require supervision and assist with care, CNA #1 said just a few. No staff members in the small dining room were observed as alert or providing resident care when Surveyor #2 and Surveyor #3 arrived on the Minuteman Unit. Nurse #1, Nurse #2 and CNA #1 were asked to go to the nursing station while Surveyor #2 and Surveyor #3 made observations of Resident rooms. All 3 staff members went towards the nursing station, but then each went in a different direction to go down different corridors. When Surveyor #3 followed Nurse #2, she was seen coming out of a dark corner of a nursing station on the side of the unit by the main activity room and medication room. Nurse #2 was followed by CNA #3. When asked what the nurse and CNA were doing, the nurse walked by with out response and CNA #3 said she was sitting in that dark corner watching her corridor. There was a white blanket on the floor in the nursing station between the trash barrel and the water cooler. When asked about this, CNA #3 said it is for water leaking from the water cooler. Investigation revealed the linen was completely dry and was in a heap on the floor, not draped around the water cooler. When asked if she knew where Nurse #1 and Nurse #2 had been while she sat in the dark corner, she said she did not. While these observations and interviews were taking place between 4:15 A. M. and 4:45 A.M., Nurse #3 was sitting at the other nursing station, facing the corridor that the small dining room is in. She did not have view of the corridor due to a wall in front of her. She said that she was working 11:00 P.M.- 7:00 A.M. doing nursing summaries only. She said she was not responsible for resident care during this shift. When asked which nurse is responsible for providing care, medications and supervision of CNAs and Residents during this shift, she said Nurse #1 and Nurse #2 were responsible. When asked who was scheduled to work as CNAs during this shift, she did not know. The job assignment was not filled out for that 4/27/17, 11:00 P.M. – 7:00 A.M. shift. Further investigation revealed that On 4/27/17 at 11:00 P.M. – 7:00 A.M. there were 2 nurses scheduled to provide licensed care and supervision of the CNAs; Nurse #1 and Nurse #2 who were both found in the pitch black small dining room at 4:15 A.M. There were 3 CNAs scheduled to care for and assist the Residents at this time, they were CNA #1, CNA #2 and CNA #3. The third hallway was dark with dim lighting, a stirring was heard and there was no visible staff in the hallway. At the end of the hallway CNA #2 was behind a resident’s room door attempting to put her sneakers on. Surveyor #2 interviewed CNA #2 as to what she was doing and why she was barefoot in a resident room. She said she was not sleeping, that she was just sitting. An armchair was in the resident room facing the doorway. The resident was sleeping in the bed. CNA #2 said she was not sitting in that chair, but in the chair placed in an alcove of the hallway. CNA #2 was asked again why she was barefoot in a resident room. CNA #2 said she cannot wear her sneakers all night because they are too tight. She then said, please leave me alone I have to go to the bathroom. CNA #2 went into the resident’s bathroom barefoot. She then went across the hallway and attempted to use another resident’s bathroom before going behind that resident’s room door. She then put her sneakers on and walked up the hallway towards the nurses station. At this time she was met by Nurse #1. Nurse #3 remained at the nurses station and said she was not working the floor this shift. She was completing nursing summaries only. Nurse #2 was standing at the nurses station and stated to Surveyor #2 that Nurse #1 and Nurse #2 were on their 30 minute break at the same time when the Surveyors entered the small room, but CNA #1 was not. No staff on duty was observed alert or providing resident care when Surveyor #2 and Surveyor #3 arrived on the Minuteman Unit. During interview with the Director of Nursing Service (DNS) and Corporate Clinical Coordinator at 11:00 A.M. the DNS said the staff does not punch in and out for breaks or meals. As a result of the above observations, the facility failed to ensure that residents residing on the Minuteman Unit received adequate supervision and assistance. 7. Hancock Unit had 27 residents residing on the Unit and the following information was identified: One resident had a pressure ulcer Three residents had falls Fifteen residents were incontinent Two residents required assistance in ambulation Two residents required assistance in transfers Four residents required assistance in toileting Fifteen residents that had issues with Range of Motion/Contractures/Positioning Surveyor #5 walked on to the Hancock Unit (a unit with a census of 28 residents that were receiving short and long term care) to find the corridor dimly lit. The surveyor did not see and was not greeted by any staff members. As the surveyor walked half way down the unit and looked to the left, the surveyor found a nurses station that was in full darkness. Sitting at the nurses station was CNA #4. Surveyor #5 asked CNA #4 who else was working on the unit. CNA #4 said that she was working with CNA #5 who was on break. Surveyor #5 walked to the back of the dark nurses station to check the medication room on the left side of the room because the door was held open with a wash basin, and as Surveyor #5 was walking toward the medication room she was startled by a staff member (Nurse #4) who jumped up quickly from two chairs that were placed in close proximity and facing each other. Both chairs had white sheets and white blankets disheveled on the seats of the chairs. Nurse #4 and the two chairs were located in an alcove to the left of the nurses station. This area was out of sight from the front of the nurses station and had an obstructed view of the left side of the corridor and no view of the right side of the corridor. During interview on 4/28/17 at 4: 25 A.M., Nurse #4 said she was just resting before she had to start her medication pass. Surveyor #5 asked CNA #4 where CNA #5 was taking his break. CNA #4 escorted the surveyor down to the end of the corridor and into the unit’s activity/dining room where the surveyor found CNA #5 with his head resting on a white blanket which was resting on the dining room table. CNA #5 popped his head up and looked at his telephone. CNA #5 said he was on his break. As a result of the above observations, the facility failed to ensure that residents residing on the Hancock Unit received adequate supervision and assistance. Failed to make sure that each resident gets a nutritional and well balanced diet, unless it is not possible to do so. Based on record review and staff interviews, the facility failed to identify unplanned weight loss, nutritional risk and provide therapeutic nutritional interventions for one sampled Resident (#10), in a sample of 24 residents. *The nursing staff will measure resident’s weights on admission, and weekly for four weeks thereafter. If no weight concerns are noted at this point, weights will be measured monthly thereafter. *Weights will be recorded in each unit’s Weight Record chart or notebook and in the individual’s medical record. *Any weight change of 5 lbs. or more in a patient weighing more than 100 lbs. since the last weight assessment will be retaken the next day for confirmation. If the weight is verified, nursing will immediately notify the Dietitian in writing. Verbal notification must be confirmed in writing. *The Dietitian will respond within 24 hours of receipt of the written notification. *The Dietitian will review the unit weight record by the 10th of the month to follow individual trends over time. Negative trends will be evaluated by the treatment team whether or not the criteria for significant weight change has been met. Review of the Significant Change MDS assessment dated [DATE] indicated the resident as having moderate cognitive impairment with a BIMS score of 10 out of 15. The MDS assessment also indicated that the resident was provided with set up and supervision of staff when eating and did not exhibit rejection of care behaviors. The MDS indicated that no weight was documented for this assessment reference period. The results indicated that there were two instances when there was a weight change of more than 5 lbs. The facility did not follow the policy to retake the weight the next day. Record review indicated that on 12/23/16 the Resident was seen by Dietitian #1 who documented the Resident’s weight as being 176.4 lbs. on 12/13/16. Dietitian #1 documented that Resident #10’s diet was changed to a mechanically altered diet and thin liquids at the recommendation of the Speech Language Pathologist. Dietician #1 recommended to order 4 ounce Mighty Shakes 2 times a day to optimize intake and monitor PO (by mouth) intake, labs and weights. On 12/30/16, Dietitian #1’s follow up note indicated that the Resident will continue to receive supplements 2 times a day to optimize intake in lieu of inadequate PO intake. On 2/14/17, a Quarterly Nutrition Assessment was performed by a Dietitian #2. Dietitian #2’s assessment indicated that Resident # 10 had a 9.5 lbs weight loss or 5% weight loss in 5 months. No changes were made to the diet and to continue mighty shakes. The quarterly note indicated the February weight was pending. No further Nutrition notes were documented in Resident #10’s medical record. The medical record review indicated that the Resident did not have weights documented in the months of February or March of 2017. Since the facility did not follow the policy to weight residents monthly, a Dietitian was not notified of a continued weight loss trend from January 2017 to April of 2017 as evidenced by a weight of 160 lbs. on 4/12/17. On 5/2/17 at 8:00 A.M., the Nutrition notes were requested by Surveyor #4. On 5/2/17 at 10:16 A.M., a nutrition note was entered into the Resident’s medical record by Dietitian #3. This note indicated the last weight documented was 4/12/17, the Resident’s meal intake was 51-75% consumption and the Resident enjoys the Mighty Shakes. Dietitian #3 noted weight loss of 8 lbs. in 3 months and that the resident had clavicular muscle depletion. Dietician #3’s recommendations were to increase 4 oz. Mighty Shakes to 3 times per day, add chocolate Magic Cup to lunch and dinner meals. Reweigh pending. During an interview on 5/2/17 at 10:55 A.M., Nurse #5 said that she wasn’t sure when Resident #10 was supposed to be weighed. Nurse #5 asked Nurse #6 who said she believes monthly. Nurse #5 said that the Resident is going to be weighed today. When asked why there were no documented weights for February and March 2017, Nurse #6 said that the Resident may have refused and the refusal was not documented. Record review did not indicate that the Resident refused being weighed. During an interview on 5/2/17 at 12:45 P.M., Dietitian #3 said that she saw Resident #10 for the first time today and recommended to add another Mighty Shake as well as Magic Cups to the Resident #10’s orders. Dietician #3 said that because there were no weights documented in February or March of 2017, the trigger for Resident #10 to be seen by a Dietician was not brought to Dietician #3’s attention until the weight was recorded on 4/12/17. Dietitian #3’s follow up was 20 days after the 8 lbs. weight loss was documented. Failed to provide food in a way that meets a resident's needs. Based on observation, record review and staff interview, the facility staff failed to ensure that 1 resident, (#3), in a total sample of 24 Residents was provided thickened liquids per the medical plan of care. Resident #3 was admitted to the facility in 9/2016 with [DIAGNOSES REDACTED]. The 4/01/17 Quarterly Minimum Data Set identified the resident as requiring extensive assistance in eating and receiving a therapeutic diet. The current care plan identified the problem: Nutritional status as evidenced by potential weight loss related to swallowing difficulty, history of failure to thrive. Interventions included: Modified diet. Nectar thick liquids, thickened liquids as ordered. Review of the 4/2017 physician’s orders [REDACTED]. On 4/27/17 at 8:45 A.M., the resident was observed seated in the Dining Room with a food tray in front of him/her. The resident’s coffee appeared to be of thin liquid consistency and not of nectar thickened consistency. A nurse sat down with the resident and at that time, Surveyor #4 asked her to check the resident’s coffee consistency. She ran a spoon through the coffee a few times and said it was not of nectar thick consistency. She said it was thin liquid and then removed it and returned with nectar thickened coffee for the resident. **NOTE- TERMS IN BRACKETS HAVE BEEN EDITED TO PROTECT CONFIDENTIALITY** Based on observation and review of facility policy, the facility failed to maintain infection control guidelines to prevent the transmission of disease and infection for 1 Non-sampled resident (NS #2). The facility’s Blood Glucose Monitoring Policy identifies: Blood glucose monitors (measures blood sugar) will be disinfected per Centers for Disease Control (CDC) and manufacturer’s guidelines before and after each use. For NS #2 the facility failed to disinfect a blood glucose monitoring device(glucometer) before and after each use. NS #2 was admitted to the facility in 8/2016 with [DIAGNOSES REDACTED]. During medication administration observation on 5/1/17, Nurse #7 retrieved a glucometer from the medication cart. She washed her hands, donned gloves and performed the procedure without disinfecting the glucometer. She disposed of the used lancet in the sharps container, disinfected the glucometer, replaced it into the zip pouch and washed her hands. Failed to set up an ongoing quality assessment and assurance group to review quality deficiencies quarterly, and develop corrective plans of action. Based on staff interviews and record reviews, the facility failed to maintain the minimum requirements for the facility’s Quality Assurance and Performance Improvement (QAPI) Committee attendance, for 3 of 4 Quarterly meetings. The Facility’s Quality Assurance and Performance Improvement (QAPI) Committee Policy identified that the Medical Director will serve on the committee. The policy did not specify another physician in lieu of the Medical Director. On 5/2/17 at 3:40 P.M., Surveyor #1 reviewed the last 4 quarterly QAPI Meeting Attendance Signatures. The Review of the 7/28/16 Quarterly QAPI Committee Attendee Signatures included the Medical Director’s signature. Review of the Quarterly QAPI Committee Attendee Signatures for 11/29/16, 1/26/17 and 4/21/17 did not include the Medical Director’s signature as required. During an interview, on 5/2/17 at 3:50 P.M., the Administrator reviewed the signatures with Surveyor #1 and identified that only one meeting, 7/28/16, included the Medical Director’s signature. No further evidence of the Medical Director’s attendance was provided.